On Wednesday, July 26, the general overseer of the Greater Grace Deliverance Ministry, Kakuri in Kaduna state, Nigeria found a snake on the altar during the deliverance service. 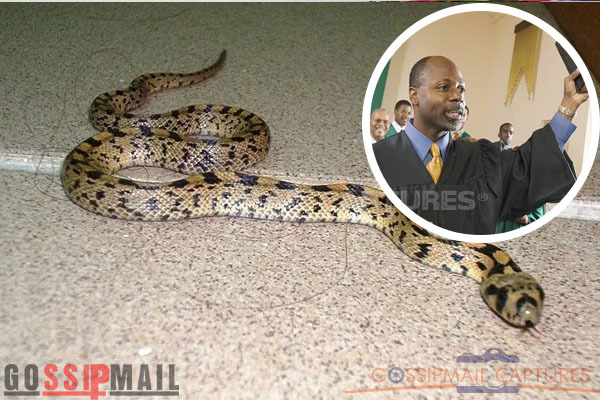 According to Daily Post, it was reported that the appearance of the snake made the church pastor who was identified as Naphthali Biem and the congregation take to their heels during the midweek service. It was gathered that the snake suddenly appeared on the altar and one of the ushers immediately raised an alarm which forced the pastor to stop praying and run for safety.